Although the biceps are certainly the most popular of all the muscles on the male physique, it is hard to find a muscle with more impact than a might forearm. A painful, gutbusting, tough routine, designed to build massive forearms! 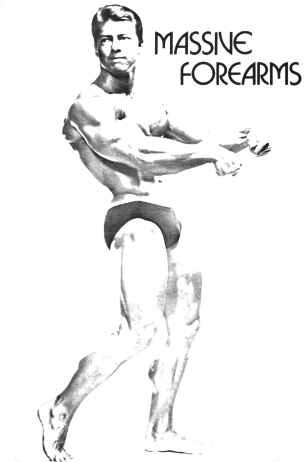 I have always been a nut for arms, but it was Bill Pearl who really got me fascinated with forearms. Forearms are difficult, stubborn and sometimes downright painful to develop, but it is a sweet pain and this course gives you everything you need to build massive forearms. Covers equipment needed, routines and exercise descriptions, warm ups, progressions and hand / finger strength development.